Staff and friends of Melbourne Theatre Company were saddened to hear of the death on New Year’s Day of actor-director Malcolm Robertson, whose long association with the Company goes back to the end of our inaugural season. Robertson began his theatre career in 1951 as an actor touring the country with the John Alden Shakespeare Company. In 1954, he joined the Union Theatre Repertory Company (the precursor of MTC) as Stage Manager on their end-of-season tour of Pygmalion and stayed on the following season, stage managing and also playing minor roles when required, before going on to join the newly-formed Australian Elizabethan Theatre Trust. Some years later, while living in London, Robertson sent his play Thataway the Kings Go to John Sumner, director of the UTRC, who scheduled it in the 1961 season. He returned to Melbourne for rehearsals and, although the show was not a success, he remained with the Company for the next fourteen years as a director (Arms and the Man, The Four Poster, The Private Ear and the Public Eye), Head of Additional Activities (essentially the youth theatre wing) and, occasionally, actor (The Homecoming, The Royal Hunt of the Sun, A Day in the Death of Joe Egg). From 1972, he was Associate Director at MTC, directing, among others, memorable productions of Neil Simon’s The Prisoner of Second Avenue, David Williamson’s wildly popular Jugglers Three, Sean O’Casey’s The Plough and the Stars, Arthur Miller’s All My Sons, and Edward Bond’s The Sea. 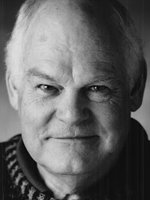 He left the Company in 1975 and went on to direct for Playbox and other major Australian theatre companies. Malcolm Robertson’s death is a great loss to Melbourne’s theatre community. He was a great advocate for new Australian work and, over the years, was a mentor to many emerging actors and directors. Our condolences go out to his family and friends.